Tottenham Hotspur supporters were left far from impressed with Match of the Day highlights of their win over Middlesbrough on Saturday evening. A second half penalty from Harry Kane secured all three points for Spurs as they have now emerged as the only contender remaining to push Chelsea for the Premier League title. Albeit Antonio Conte’s side will remain as heavy favourites, Mauricio Pochettino will be pleased with his team’s efforts in keeping their hopes alive for the time being. However, supporters were not happy with MOTD on Saturday night despite the win, as the highlights package missed out a first-half incident involving Dele Alli and Victor Valdes. 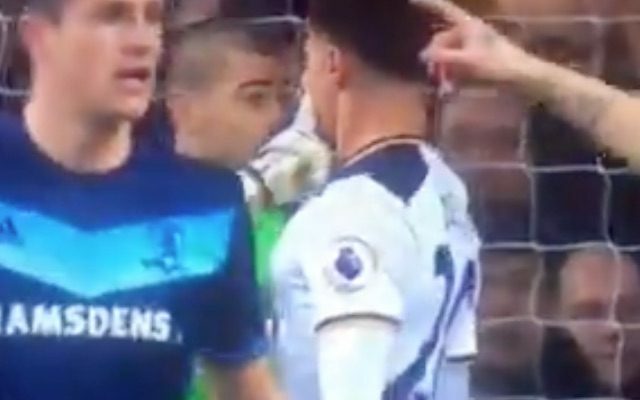 The Spaniard was seen shoving his hand in Alli’s face a couple of times, and while the incident was missed by officials, it appears as though it skipped the attention of the BBC producers too. It remains to be seen whether or not Valdes receives any retrospective punishment, but Tottenham supporters were keen to bring it to light as they insisted that had it been the other way round, Alli would have certainly made the headlines. If Dele Alli had put his hands in Valdes' face, I'm sure @BBCMOTD would have shown in. Curious they didn't show it the other way round. Hey #MOTD not going to show the dreadful behaviour of @1victorvaldes against @Dele_Alli today during #TOTMID ? Should have been off. Valdes taking swipes at Dele Alli's face but MOTD would rather show De Roon shinning a shot wide… ? #MOTD not shown Valdes pushing alli in the face and should have been sent off ? They've cut out Valdez smacking Alli in the face. #MOTD ? No mention of Valdes on MOTD. Makes you wonder what would happen if someone like Dembele had done that. MOTD not even mentioning the Valdes & Dele incident. Pathetic.